​In his prime, Rasheed Wallace was considered one of the premier big men in the league. Even in his 40's though, the guy's still got game. 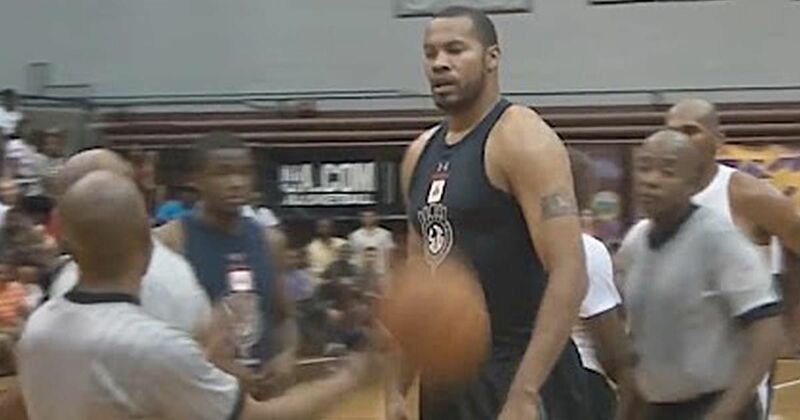 A couple of years removed from the NBA, former All-Star Rasheed Wallace is showing that if he wanted to, he might be able to still play a few minutes in the NBA. His trademark attitude was on full display during this exhibition game, but so too were his trademark jumper and deceptive athleticism. Taking the time to throw down a few 360 dunks in between blocking a few shots and draining a couple from behind the arc, Sheed showed he still got it.